I don't know about you, but if I hit the internet with a specific topic in mind, I can find myself lost down a rabbit whole of blogs, Instagrams, and wellness websites. Whether you're looking for a natural cold remedy or the next buzzy fitness program to give a try, you need to have some staple hubs with credible sources to turn to. Today, you can finally breathe easy and let those Google searches go. I'm providing you with my favorite places on the internet to learn more about what's going on in the wellness world, and how I can make easy changes in my life to feel my best. Unlike the mainstream magazines and "wellness" sites, these focus on wellness from the inside out. No quick-fix weight loss articles here! Just a little side-note, you don't absolutely need these blogs and sites to stay happy and healthy. You're doing an excellent job even making your way here and noodling around the internet out of curiosity! However, I know it can be a little tricky to weed out the nay and find the gold when it comes to fun and applicable info. I find that these roundup posts are some of my favorite to write, and some of your favorite to read so here's my list of my go-to wellness sites when you just don't feel like losing hours of your life sifting through the internet. Click on the images or the texts below to check out these sites! Well + Good is probably my first go-to. I check it daily, and I never run out of content to click on. From fitness apparel to nutrition, thyroid health to superfoods, this site has you totally covered. They also discuss mental health and how to clear the mind! The Chalkboard Mag is an awesome place to find your favorite bloggers' guest posts and features on their work. Many of my friends and podcast guests have made an appearance on this site, so have a number of ground-breaking and influential people. MindBodyGreen is also another inspiring space where my favorite bloggers, podcast hosts, and friends have been featured talking about everything from health-at-every-size to superfoods. Definitely worth a daily check-in. Nutrition Stripped is the online wellness creation of fellow Nashvillian and friend of mine, McKel Hill. It's an incredible space to get inspiring recipes, wellness advice, nutritional information, and fitness ideas. McKel also offers readers 1:1 coaching and an invitation to her online wellness group, the Nutrition Stripped Society. Did I mention her food photography is literally a whimsical, colorful dream? Um, yeah. Follow her inspiring account on Insta. 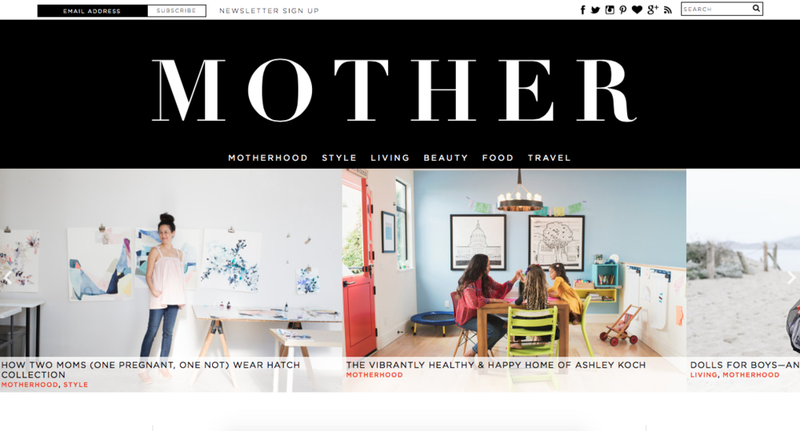 Mother Mag is another online lovechild from Nashville, and I think of it as a wellness blog of a different kind. Here, you can find tips for living well in the home, in your community, and in your kitchen. This site focuses on a variety of different women and families, featuring different stories and lifestyles. How You Glow is a wellness platform brought to you by Jessie, a yoga instructor and art therapist, and Tara, a holistic nutritionist and natural foods chef. Together, they bring you this site with the vibe of an online wellness center, focusing on feeling your best and living naturally. SheKnows is another wellness site that features so many different lifestyle topics. I think I must've discovered this site through a Google search, but have stuck with it when I have specific topics I'm curious about. It's an excellent source to find answers to wellness questions and also home and lifestyle changes! HealthyGlow.Co is an incredible brand new wellness project brought to you by two stunning bloggers, Monique of Ambitious Kitchen, and Lee of FitFoodieFinds. Together, they have developed this awesome hub for nutrition, exercise and lifestyle tips -- and did I mention I'm having Lee on the podcast this week? Score! Get into their blogs now so that when the episode comes out, you already know their story! I hope you enjoy these types of posts, and don't forget to checkout these sites when you're noodling around the online wellness world!